Sandwich recipes – Collection of easy 35 sandwich recipes for breakfast, brunch, snack or a meal. Some of these also go great in the lunch box and are kids’ friendly. 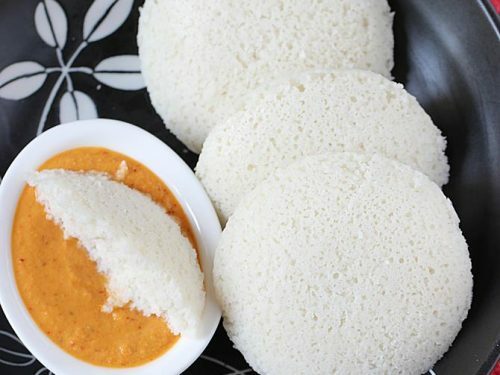 Most of these can be served with ketchup, chutney or any soup. You can find many varieties of simple veg sandwich recipes, grilled cheese sandwiches, egg sandwiches – with scrambled, boiled and fried eggs and Chicken sandwiches too. Most of these can be made on a pan/griddle or tawa, sandwich griller or toaster. Cast iron pans and grill pans also yield the best crunchy sandwiches, if you have one use it. 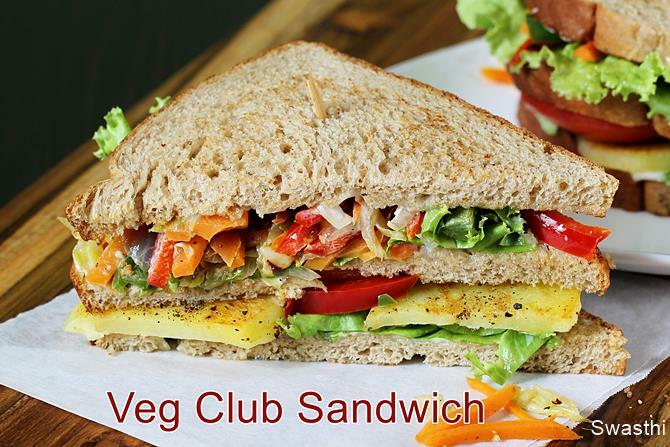 Veg club sandwich : World popular club sandwiches get a vegetarian make over. Delicious and quick to make, ideal for brunch, snack, appetizer or a meal. Great to make for parties as they can be made ahead. 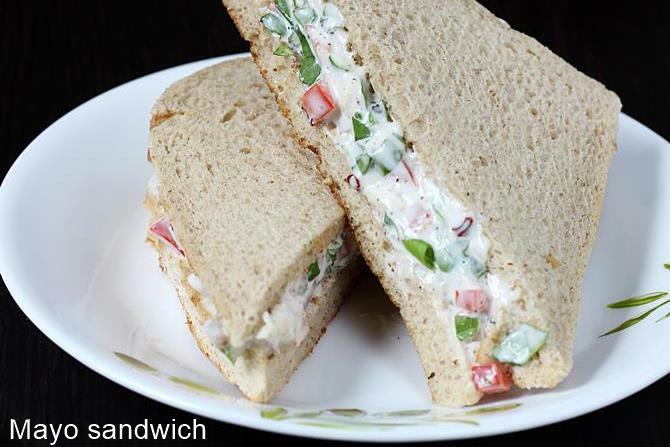 Veg sandwich recipe : These vegetable sandwiches are made with very simple ingredients without the use of any chutney or sauce. The filling can be made ahead and refrigerated. Whenever you need just spread the filling & grill them in a toaster or tawa (griddle). 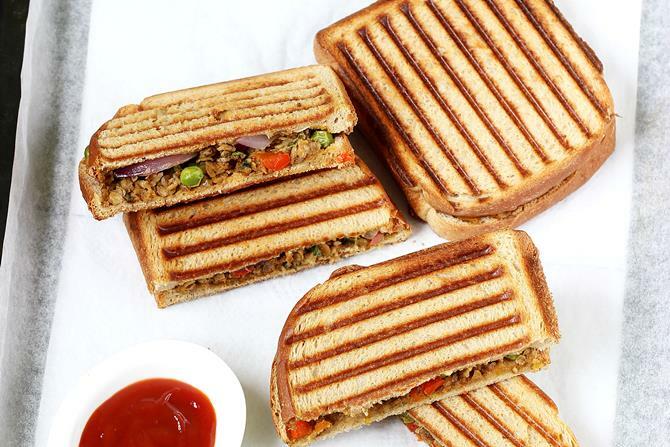 Mumbai style veg grilled sandwich made in street style. 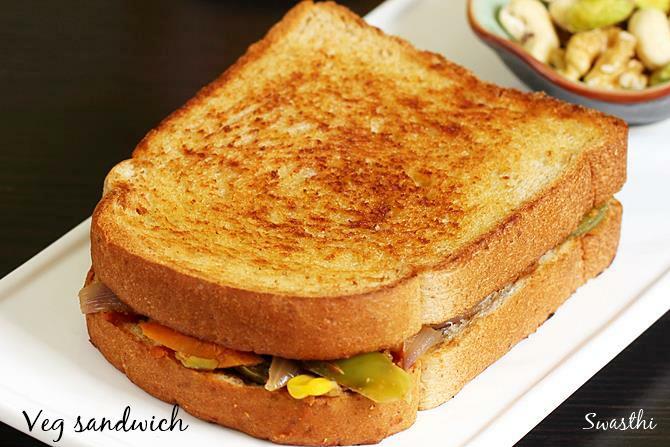 These grilled vegetable sandwiches are quite popular in India and are found in canteens, cafes, street stalls & even in restaurants. These are the quickest you can make for breakfast or snack. You can also make these cheesy by adding some grated cheese. 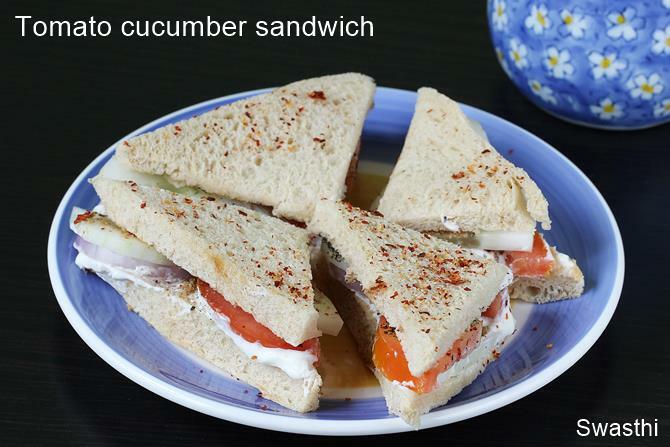 Tomato cucumber sandwich : Simple breakfast sandwiches in 10 mins for busy mornings. Kids too will love them. These can be made ahead and refrigerated. You can easily customize them by using your favorite spread like mayo, hung curd, sauce, cheese spread or green chutney. 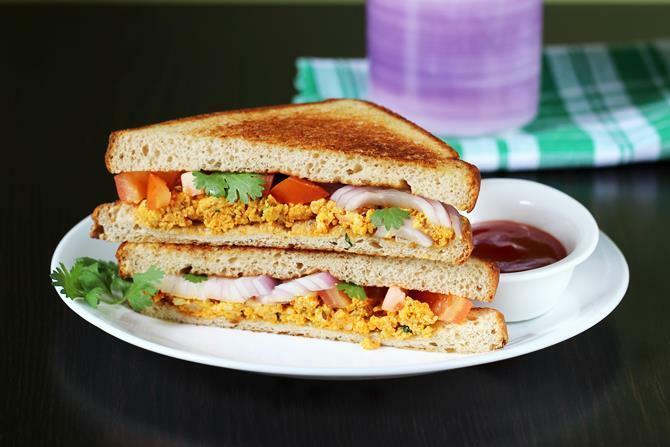 Paneer sandwich in 20 mins – One of the most loved sandwich by kids and is great for school box or dinner. 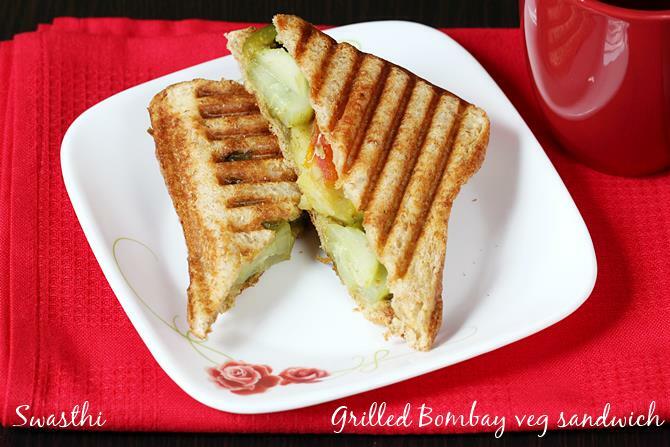 These sandwiches are made with crumbled homemade paneer and fresh veggies. Paneer sandwiches are made without green chutney or any sauce. 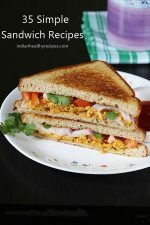 Paneer bhurji sandwich in 10 minutes – If you have ever wondered what you can make in 10 mins, this recipe will surely surprise you. It is delicious, easy, simple to make and you don’t need a toaster. 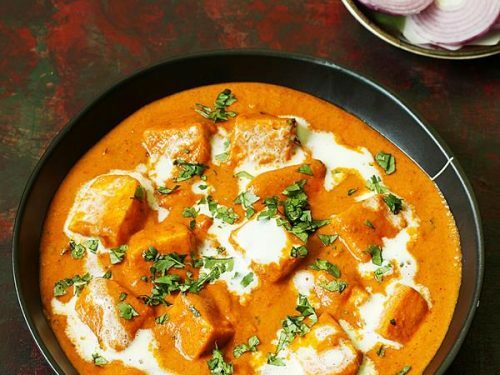 All you need is some crumbled paneer, bread and few basic ingredients. These are great to carry to school or office in lunch box. Curd sandwich recipe : Curd sandwich is a great alternate to those who not have cheese, mayo or any spread to make a sandwich. These are made with curd or yogurt and are super quick to make for breakfast or snack. I have toasted the bread on a griddle however you can also do it in sandwich toaster. Veg Mayonnaise sandwiches : are another delicious bread breakfast or snack made with mayo, fresh veggies, leafy greens and herbs. If you do not eat egg mayo then you can use eggless mayo just like the way I did. This sandwich recipe will just take about 15 mins including the time to chop veggies, make the spread and grill the sandwich. 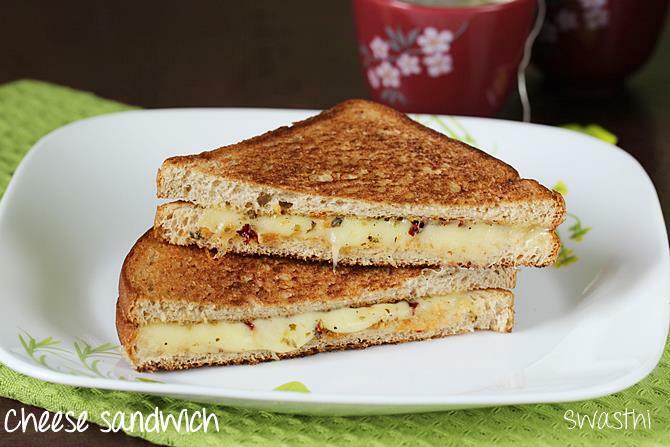 Grilled cheese sandwich make a great snack and are loved by many. This post will teach you how to perfectly make a great tasting crispy cheese sandwich. You can also make it without a toaster, oven or grill. I have shown how to make the sandwich on the tawa or griddle. 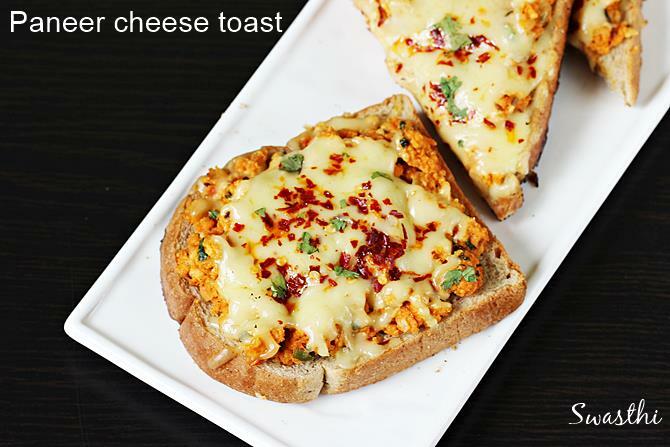 Paneer cheese toast sandwiches – Melting Cheese over spiced paneer bhurji makes these open sandwiches one of the best snack to serve when you have guests. These are made on a tawa / griddle, they can also be made in a oven or toaster. 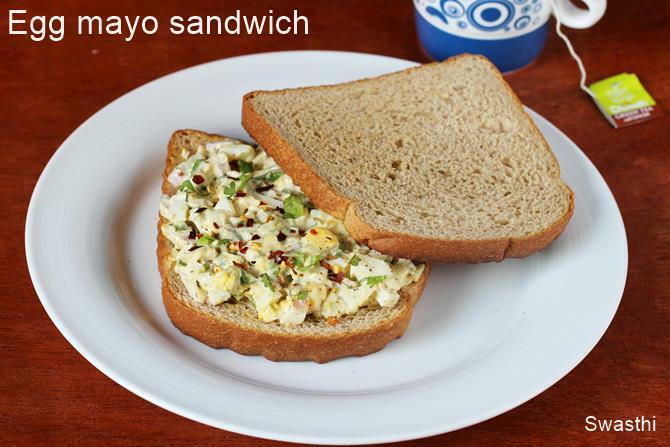 Egg mayo sandwich: Quick boiled egg salad sandwiches made with mayonnaise, boiled egg and herbs. They can be had for breakfast, snack or a meal with some soup. 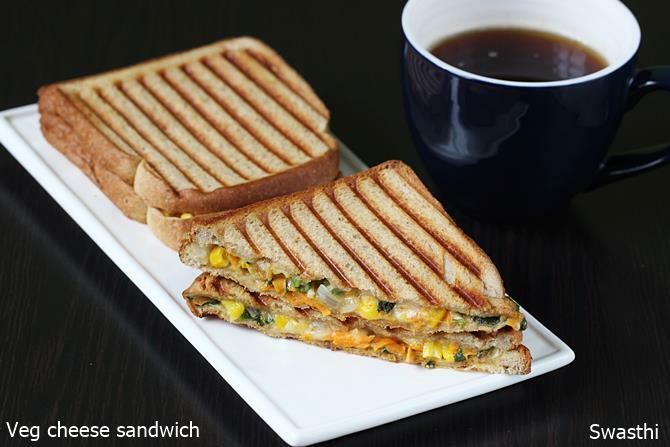 Veg cheese sandwich recipe : These are similar to the grilled cheese sandwich but with some veggies like corn, carrots, onions. You can also include some spinach, capsicum or zucchini. 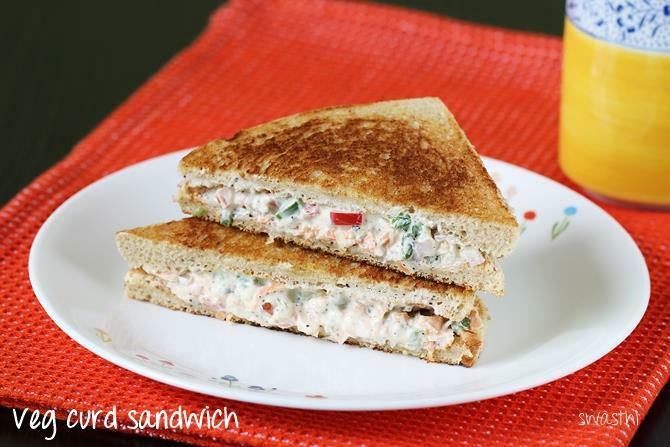 These vegetable cheese sandwich recipe is kids’ friendly & can be made for kids’ parties too. 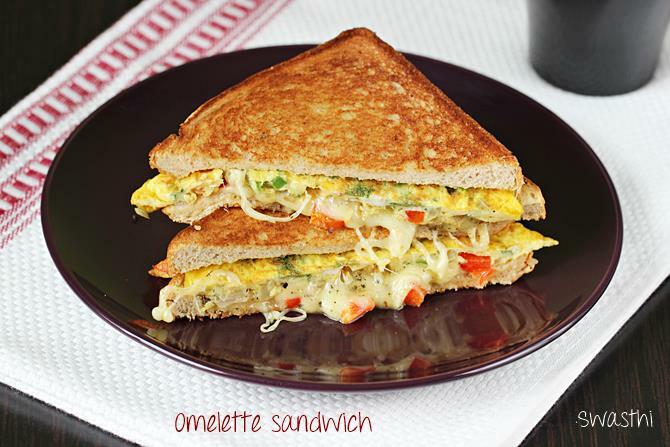 Bread omelet sandwich recipe – Make this quick delicious recipe under 8 minutes. This makes a quick fix for your breakfast or dinner on busy days. You can also skip cheese in this bread omelet sandwich recipe and or use kind of cheese you prefer. 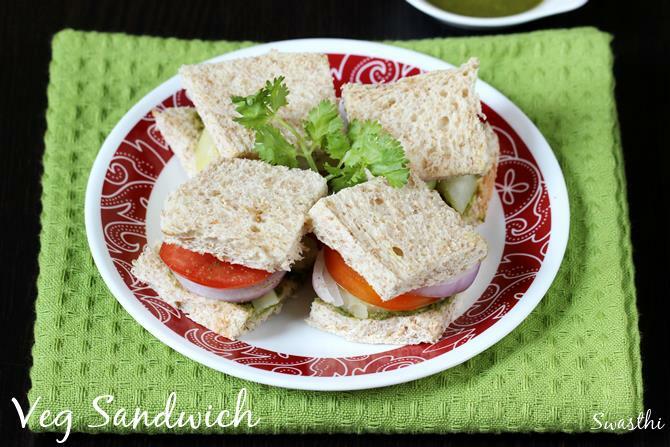 Bombay veg sandwich recipe : These tea sandwiches are made of boiled potatoes, beetroot, cucumber etc. One of the most common snack one can find in canteens, tea shops and even in chaat centers. 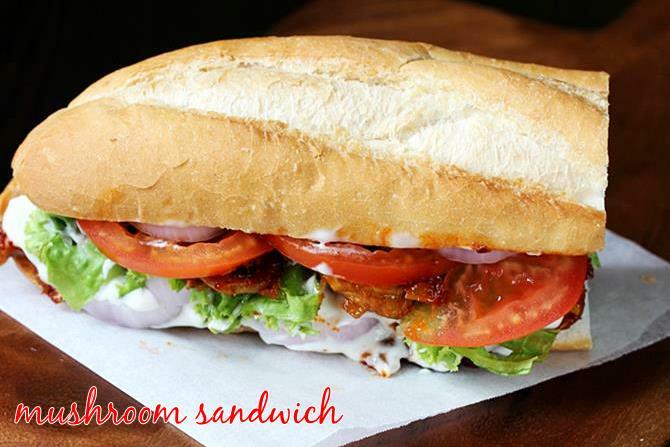 These sandwiches are quite popular on the streets of Bombay hence the name. 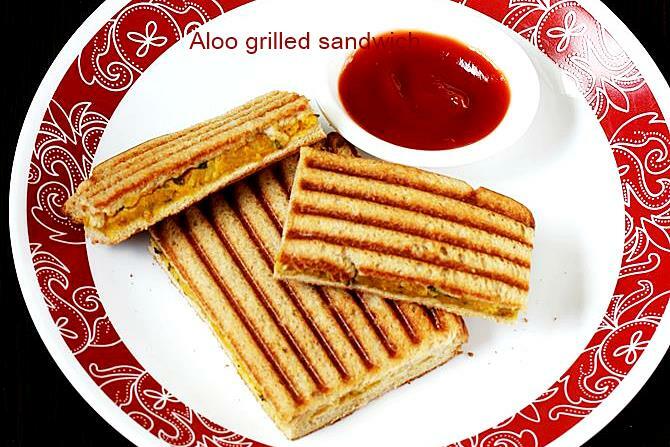 Aloo grilled sandwich is made of boiled potatoes, coriander leaves and spice powders. Boiling potatoes does take some time so these are fast to make if you have some boiled potatoes in hand. The stuffing is almost the same as we make for aloo paratha. This aloo sandwich can also be made on a tawa/ griddle without using a toaster. These keep good in the school or office lunch box. Mushroom sandwich : You can find 2 recipes using mushrooms in the post. 1.Spicy hot garlic mushrooms in a french baguette. This sandwich makes a great meal with tomato soup or corn soup. 2. The second one is a mushroom cheese sandwich recipe, suitable for evening snack or breakfast. It’s Kids friendly too. Potato sandwiches can be made on tawa and toaster. There are 2 recipes on the post. One is a spicy version and the other one a kids’ friendly recipe. In this post I have how to make this sandwich without boiling potatoes separately. This potato sandwich is great to enjoy with your evening tea. 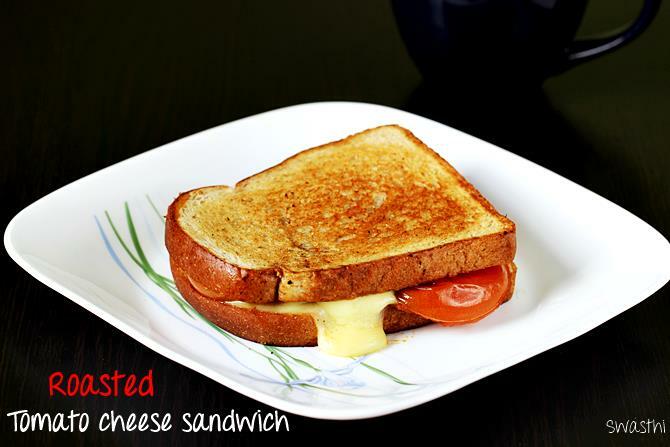 Roasted tomato cheese sandwich Simple tawa roasted onion tomato cheese sandwiches for a super quick snack or breakfast. These can be tweaked to your liking by adding any sauce or spread of your choice. This recipe uses no fancy ingredients hence they are good for beginners. 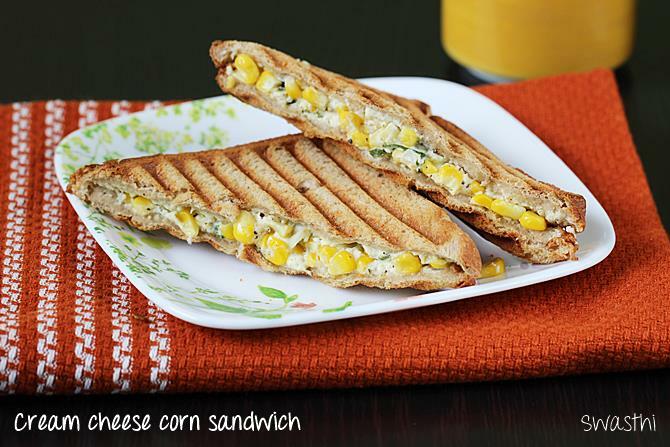 Corn cheese sandwich – It can be made on a tawa, toaster or griller. This can be made with fresh corn on the cob or frozen sweet corn. Mildly spiced with spice powders and herbs. Corn cheese sandwich is kids friendly too and tastes delicious. Corn cream cheese sandwich – You can grab these just under 15 minutes for your quick dinner or breakfast. 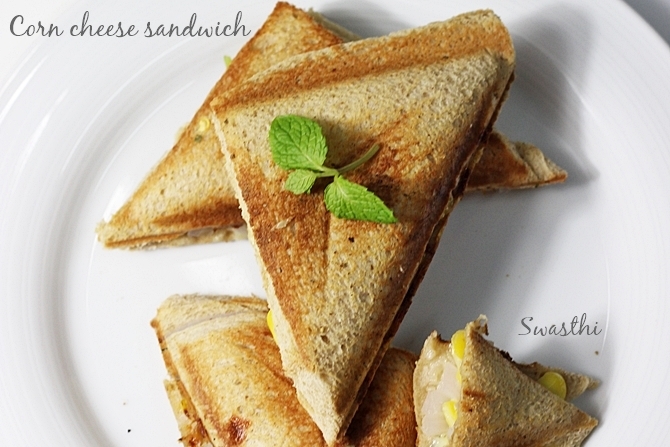 This sandwich recipe uses cream cheese and frozen corn & is a kids’ friendly. 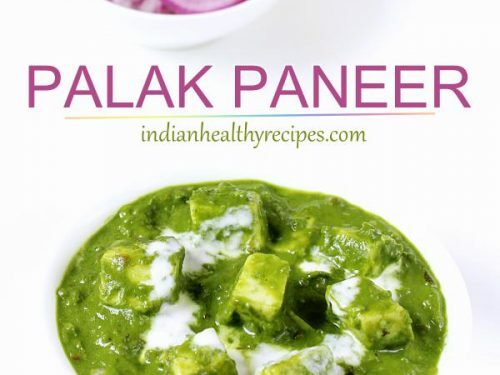 If you do not have cream cheese just process some fresh homemade paneer in a processor or blender until smooth. Your cream cheese is ready. Guacamole sandwich (avocado) – Learn to make the perfect guacamole for sandwiches or to serve as dip. This is a super delicious & easy way to enjoy your avocados. This is a must try if you have people at home who do not like avocados. 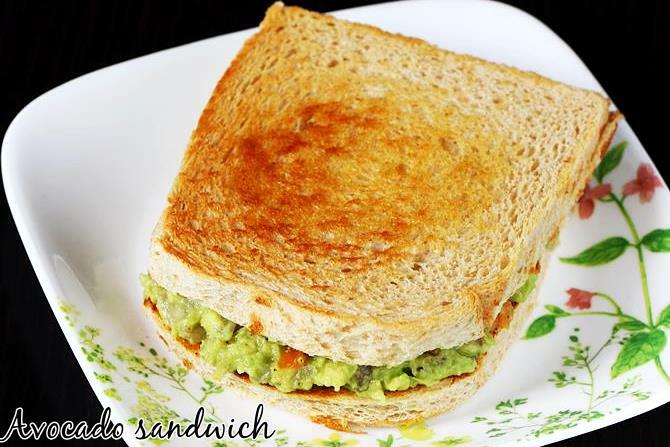 You will love these guacamole sandwich. Chocolate sandwich is made with chocolate chips and nuts. You can use any kind of chocolate or make your own chocolate fudge sauce for this sandwich. 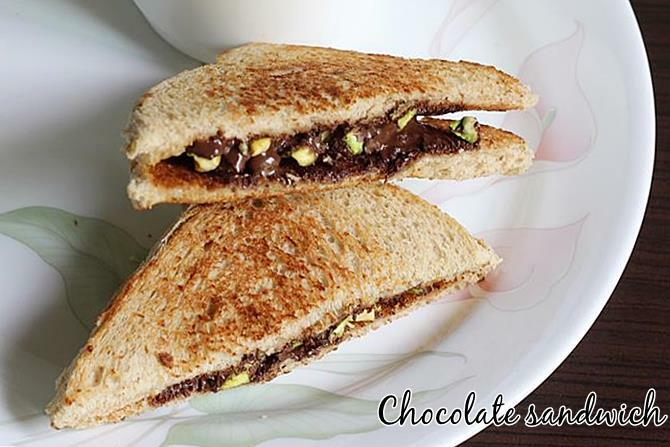 This chocolate sandwich is an amazing way to treat the kids’ for parties. 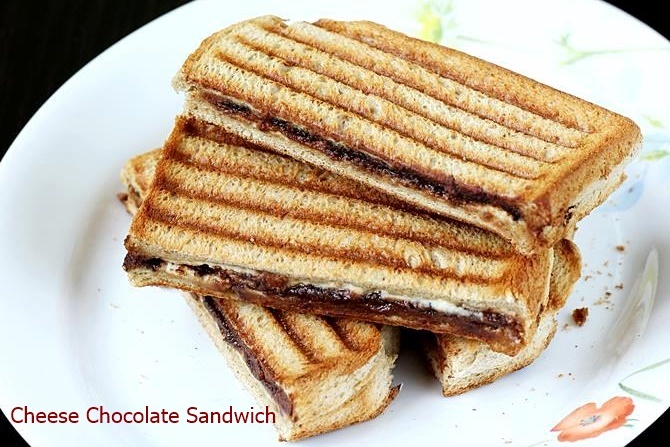 Cheese chocolate sandwiches – Another recipe of kids’ friendly sandwiches made with cheese and choco chips. 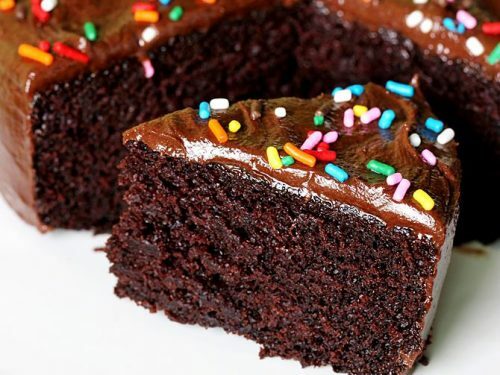 You can also make this using melted chocolate or chocolate spread. These can also be made without a toaster. 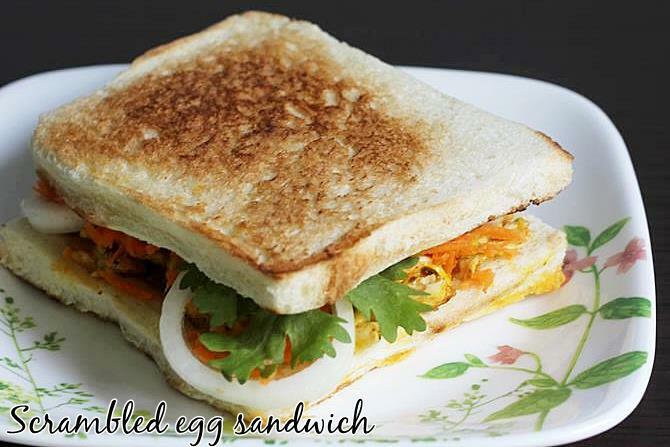 Boiled egg sandwiches – If you love boiled eggs, do not miss this most yummy and healthy recipe. Good to make for a brunch or a meal. This is heavy for a breakfast. 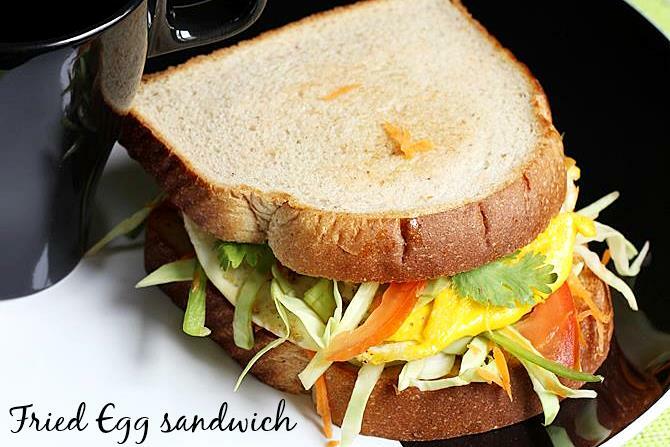 Chutney egg sandwiches – Chutney smeared, boiled egg sandwiches loaded with veggies. 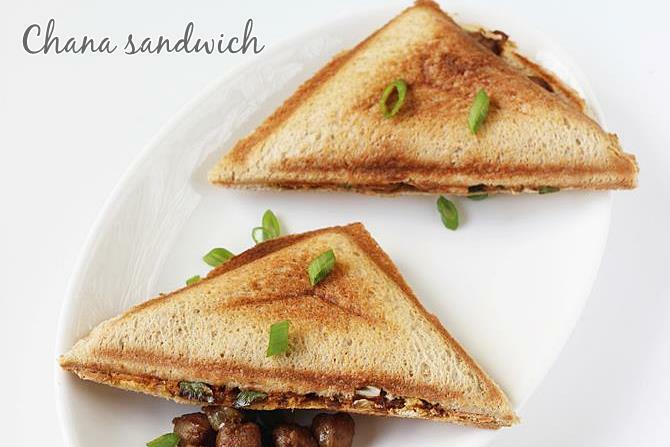 Chana sandwich : 2 ways to make this – one is with left over chana masala. The other one with fresh boiled chana. Both taste good. 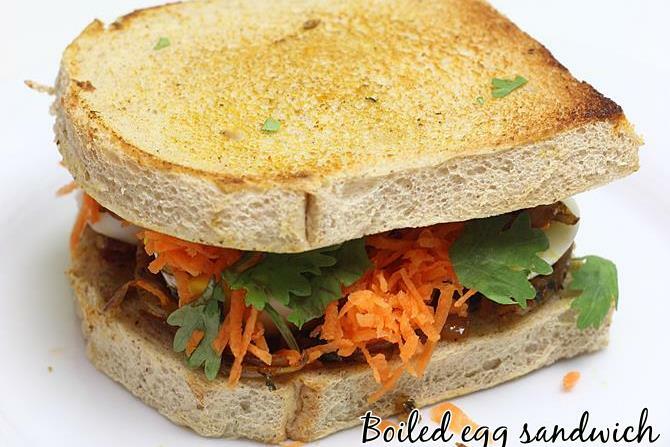 Fried egg sandwiches in 10 mins – Best to make for breakfast or dinner on a busy day. 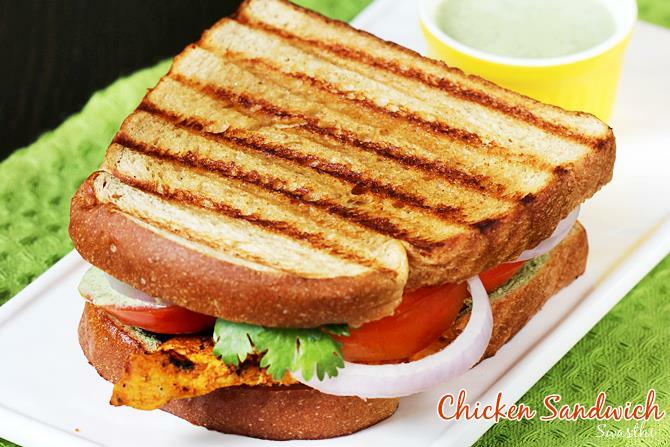 Tandoori chicken sandwich: Grilled chicken sandwiches made in Indian style. This recipe shows how to marinate and grill the chicken to make the sandwich. Chicken sandwich is amazing to enjoy for dinner. 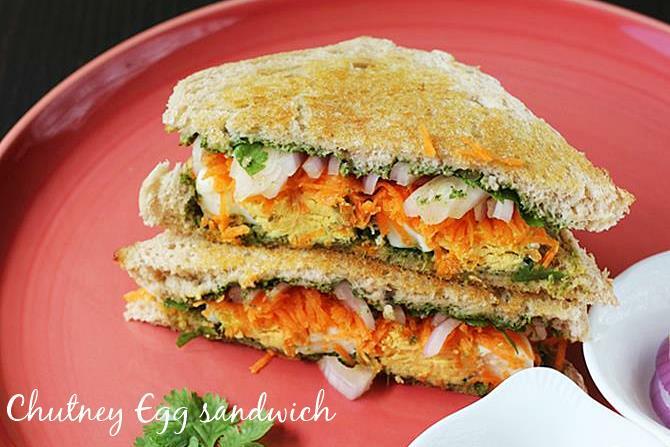 Egg bhurji sandwich – Super quick Indian scrambled egg sandwiches. 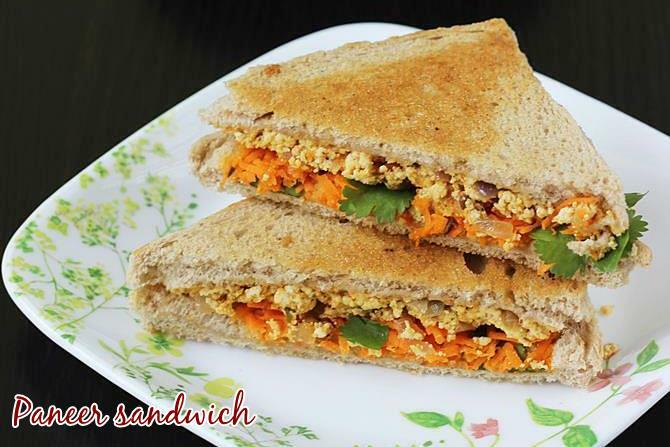 If you are bored eating your bhurji with rice or roti, then you will love this bhurji sandwich. 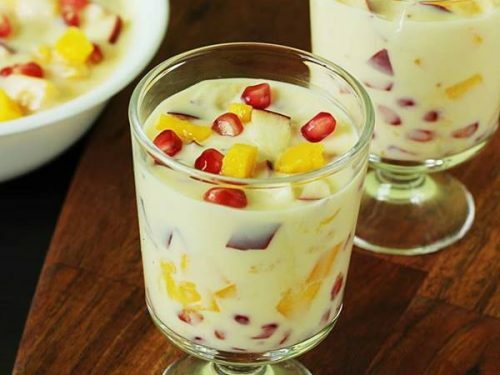 These are great to enjoy not only for breakfast but also for dinner. Make a 3 layered sandwich for a meal. 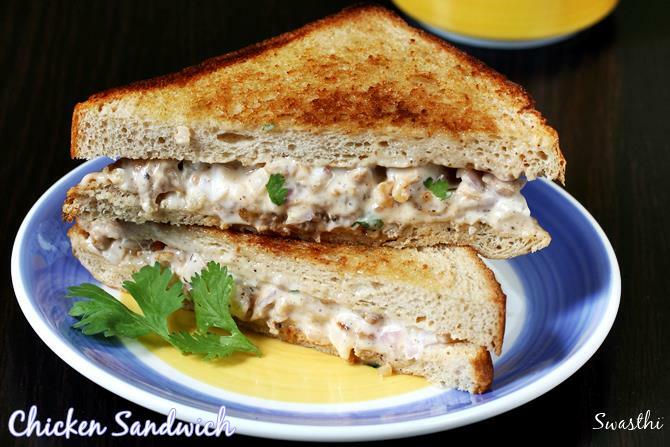 Chicken mayo sandwiches : Made with spiced chicken chunks and mayonnaise. Usually boiled chicken is used to make chicken mayo sandwich but I have sauteed the chicken with some spices. This makes the chicken sandwich filling very flavorful. 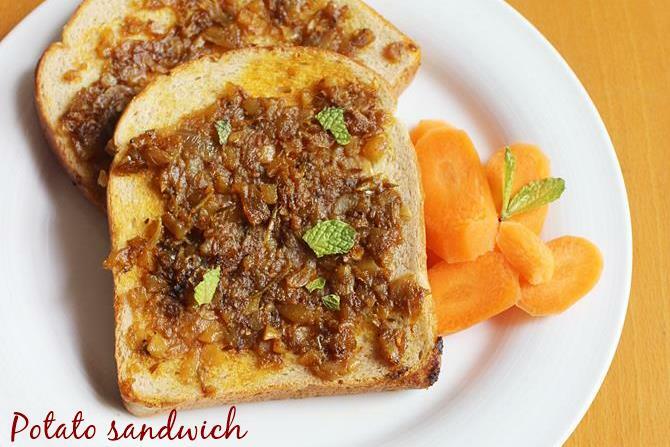 Soya keema sandwich : Delicious, spicy and simple to make soya masala stuffed sandwiches. They can be had for breakfast, brunch or a meal. 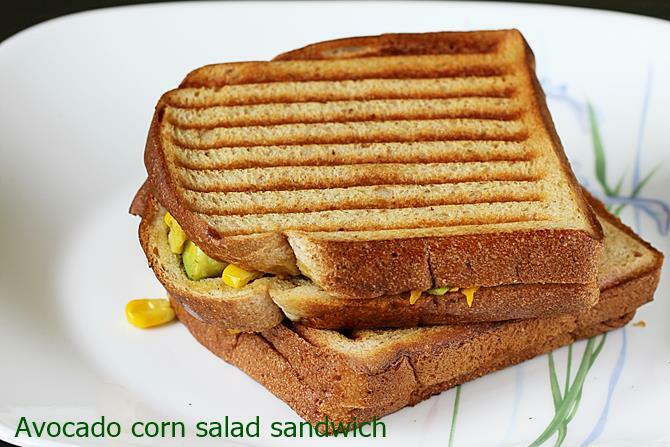 Avocado corn sandwich: Avocado and corn make a great combo. Mildly spiced these are healthy and taste good. You can make the avocado corn salad ahead and refrigerate. Just spread it on the bread along with some sandwich spread and grill them in a toaster. 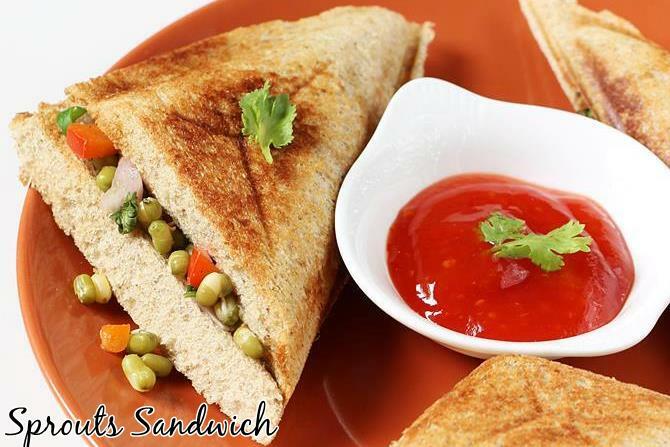 Sprouts sandwiches – I have made this using green gram, but can be made with any sprouts. Just make the sprouts salad and use as filling in a sandwich. 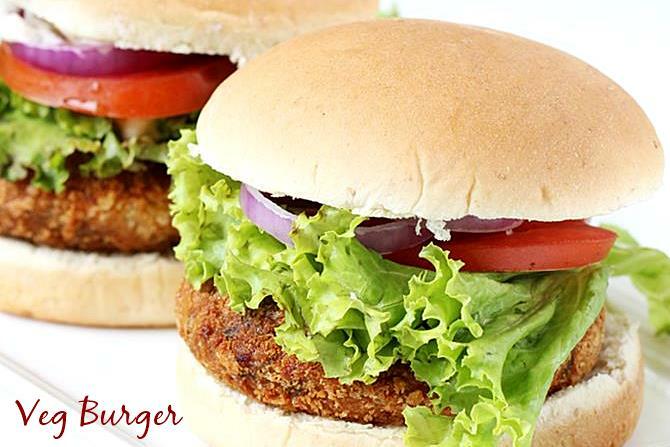 Veg burger : Burgers also belong to the category of sandwiches, so I have put them here. 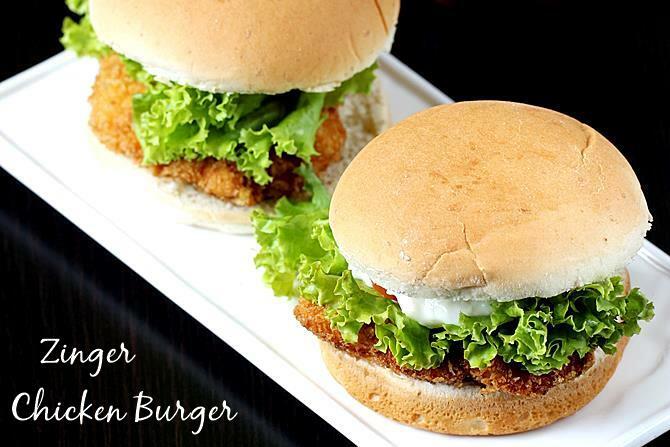 Chicken burger or Zinger burger : The popular KFC style fried chicken burger. You have amazing recipes!! Keep up the good food. Don’t let your dreams be dreams, keep cooking your dreams out! Loved em all, great work guys, keep it up. Continued love and support, yours truly. 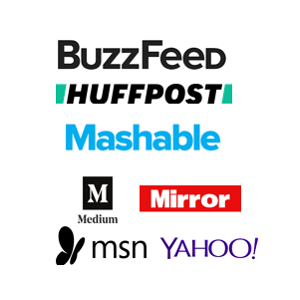 Thanks a lot for the love & support !! Not bad but tasty ? Hi Swasthi! Your recipes are so easy and tasty. Thank you! Really great variation, well done. I tried cauliflowers and poha recepies.. .nd also bason laduus… It became really testy nd yummy.. . 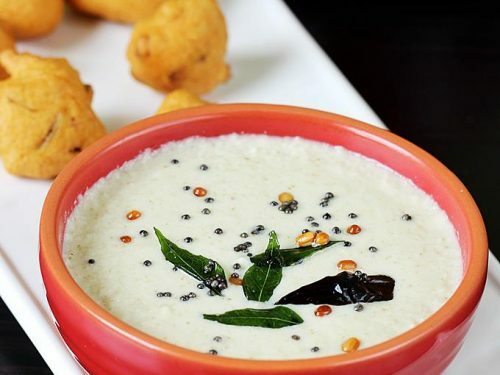 Thanks for give us this type of great bt simple recipes. I like sandwiches wow thanks a ton for sharing such a great Information with us. Glad to know you liked the sandwich recipes. Super… Thks fr ur receipes..